Deciding what annual flowers to plant is always fun in early spring, before the warm weather arrives. 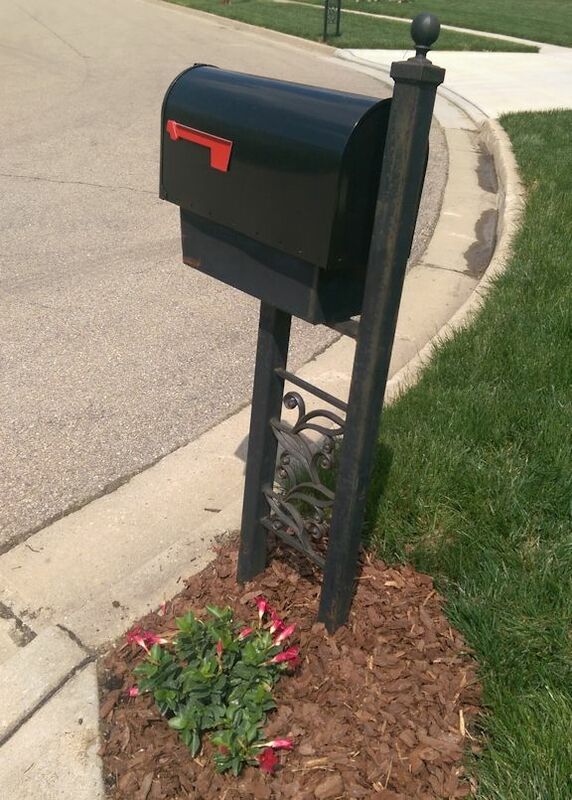 Last month, I had in mind that I was going to plant lantana next to my mailbox. But I looked at two stores, couldn’t find any lantana, and was getting a bit frustrated. Then I ended up buying mandevilla instead—just happened to notice it at the supermarket when I was doing my grocery shopping. It is a climbing plant, and I expect it will look gorgeous toward the end of the summer when it’s all over the mailbox post. I’ll also look upon it as a reminder to “climb” beyond my original expectations and always keep my mind open to finding beautiful things everywhere! Nurturing Thursday was started by Becca Givens and seeks to “give this planet a much needed shot of fun, support and positive energy.” Visit her site to find more Nurturing Thursday posts and a list of frequent contributors. That mandevilla will be so beautiful! And you can watch it grow all spring and summer long! Thanks for the vote of confidence — I’ve never grown it before! Thanks much, Becca — I hope you’re right!